A fantastic piece of woodwork. Would be the star of any interior. 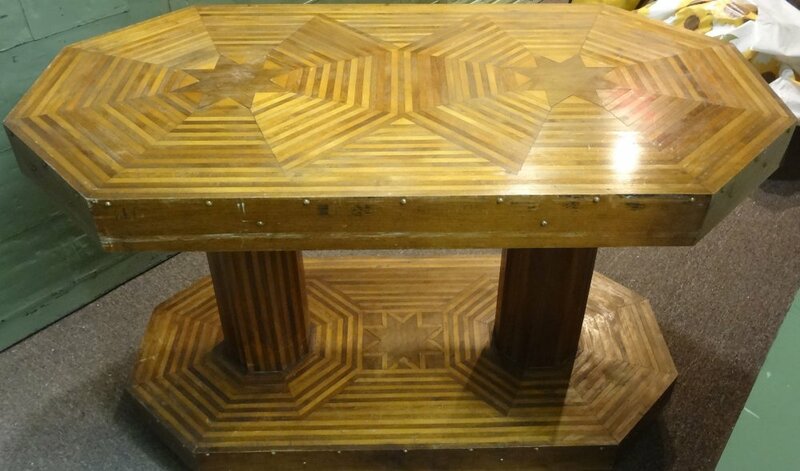 Elongated octagonal top features two parquet stars that radiate out to the aproned edge. Two full round striped columns proceed down to a smaller base that has stars also, pieced of two different color woods as in the top and columns. On small wheels for ease of movement.. Beautiful patina, warm contrasting tones of the parquetry.